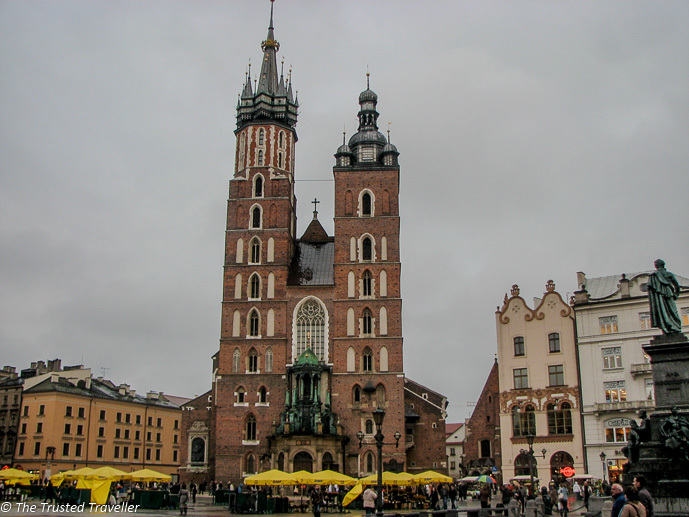 Poland’s second largest city, Krakow, located in the country’s south, is a city of legends and mythical wonders. Soon after arriving you will realise that its like Krakow has been lifted from the pages of fantasy stories. The city’s historic centre was the first of its kind to be named a UNESCO World Heritage listed site in 1978 largely because it was lucky enough to come through WWII almost untouched. This makes it the perfect place to find yourself surrounded by original Gothic and Renaissance architecture, some of the best in the world, as you wander out from the Main Market Square through the cobblestone streets of the Stare Miasto (Old Town). There is an abundance of things to do in Kraków as well as some really interesting and thought-provoking half day trips to places just outside of the city. And because it’s not a big city, fitting in most of, or even all its key attractions can easily be achieved in just a few days. The Main Market Square, or Rynek Glowny in Polish, is Europe’s largest medieval square and is surrounded by mostly neoclassical buildings containing restaurants, bars and shops. Throughout the year the square is used for a number of public events and festivals and you will find it full of people all year round. The square is dominated by the The Cloth Hall in the centre and the brick St Mary’s Basilica that towers over the square. The Cloth Hall in the centre of the the Main Market Square is one of the city’s most recognisable buildings and one of the best examples of Renaissance architecture to be found in the city. The Hall was originally used as the centre of Kraków’s medieval clothing trade but these days you will find an arcade with stalls selling locally made souvenirs and crafts on the ground floor and the Sukiennice Museum, a branch of the National Museum of Krakow, on the upper floor. The brick St Mary’s Basilica towers over the Main Market Square with its two towers of different heights. It was originally built-in 1220 but later destroyed and re-built over time into its current form. Its interior is quite spectacular with lots of intricate detailing and well worth a look. During summer you can climb one of the towers for spectacular views across Kraków. The former Jewish district of Kazimierz is a great place to take in picturesque streets and Renaissance buildings. During a walk around this area (see my suggested guided walking tour below) you will come across many churches, synagogues and museums. The deportation of Jewish people from this area by the Nazis during WWII saw the loss of the areas life and atmosphere. Luckily today, Kazimierz is thriving with life from the slow rejuvenation that has happened for many years. While you’re in the area be sure to have a meal at one of the traditional Jewish restaurants. My recommendation is Polakowski. This tiny family run self-service style restaurant, open since 1899, serves cheap and delicious meals typical of Poland. The locals love it which means it must be great! 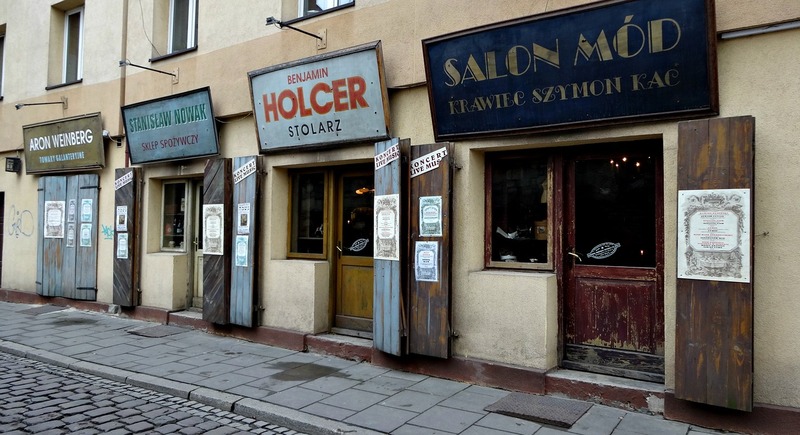 Jewish Quarter Guided Walking Tour – see historic synagogues, remnants of a real World War II ghetto, and discover why Spielberg chose Kazimierz as the set for his Academy Award-winning movie. A short walk south from the Main Market Square is the area of Wawel and the Wawel Castle. The palace that you see today was re-built in the 16th century in the renaissance style and is surrounded by a beautiful arcaded courtyard. There are a number of attractions within the grounds of the Castle for you to explore with the main one being the State Rooms which served as the residence of the governor. Similar is the Royal Private Apartments which were used by guests of the King. Both are decorated as they would have been in their time giving you an interesting glimpse into the past. You can also visit a few exhibitions such as the Crown Treasury and Armoury, Oriental Art and The Lost Wawel, an archaeological site. Finally the best way to end your tour of Wawel Castle is to exit through the Dragon’s Den. This cave was once believed to be home to the legend of the dragon of Wawel. Cost: Unfortunately no one ticket can be purchased for all attractions in the castle. Check the website for prices for each attraction. Hours: Hours change regularly, check the website for details. 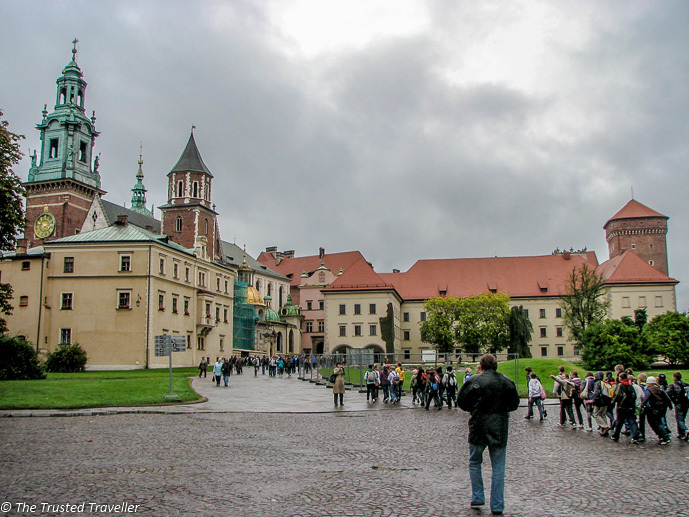 Wawel Castle Guided Tour – explore the castle and its attractions with an expert local guide. I know a lot of people are unsure about visiting a place like this where so many atrocities have occurred, it really can be very hard to handle and understand while you’re there. Despite this, I believe that visiting Auschwitz-Birkenau (or similar former concentration camps in Europe) is extremely important so we can remember the mistakes made in history and make sure that similar mistakes and atrocities are not repeated. If you do decide to visit, prepare yourself for what you will see and learn. 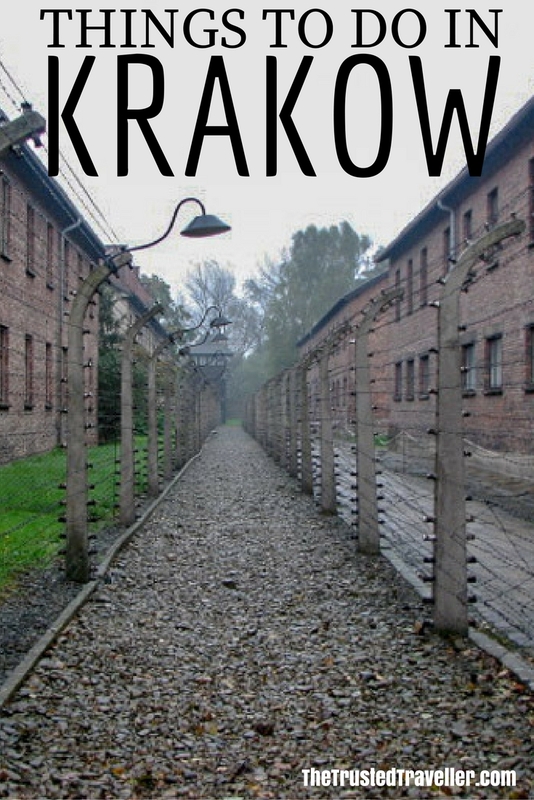 Auschwitz-Birkenau is located just over one hour drive outside of Krakow and is best visited on a half or full day trip which can be done independently on public transport or on a guided tour (see my recommendation below). Cost: Entry to Auschwitz is free however joining a guided tour is priced at Adult 45zł Under 26 35zł if visiting independently. 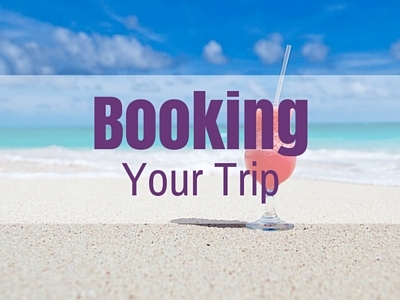 If you are visiting independently, bookings in advance are recommended as most tour sell out prior to the day. Hours: Open 8:00 daily, closes 19:00 Jun/Jul/Aug, 18:00 Apr/May/Sept, 17:00 Mar/Oct, 16:00 Feb, 15:00 Jan/Nov and 12:00 Dec.
Auschwitz-Birkenau Museum & Camp Tour – the convenience of pick-up and drop-off in Krakow as well as a skip-the-line entrance with an expert guide. The Wieliczka Salt Mine has been in existence in some form or another for over 700 years and is one of the oldest salt mines in Europe. Inside this UNESCO World Cultural Heritage listed mine you will find carvings of important figures, monuments and altarpieces which have earned it historical importance. You’re tour begins by descending into the mine via 380 odd steps (make sure you look down the small gap between the staircases at the top). Then your guide will slowly take you further into the mine via passageways, galleries and enormous chambers. One pretty gross thing a lot of visitors to the mine like to do is lick the walls to taste the salt. Unless you have your own car, the best way to reach the mine is by organised tour from Kraków. Tours pick-up and drop-off in Krakow and run for about four hours. 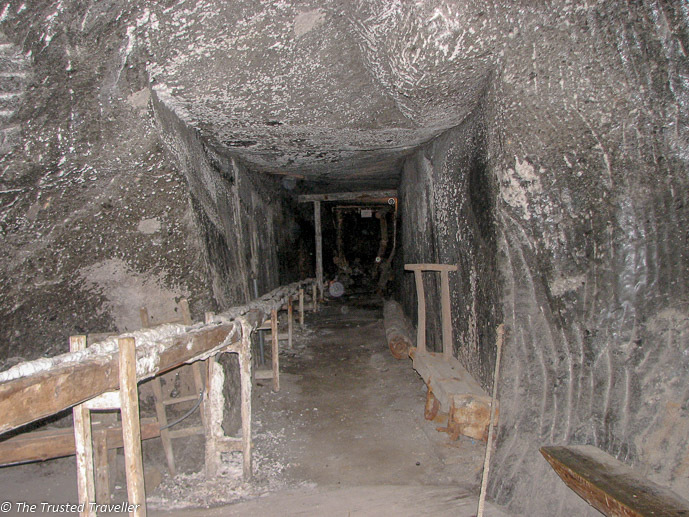 Wieliczka Salt Mine Tour – pick-up and drop-off in Krakow plus a guided tour of the mine. The Czartoryski Museum was founded in Pulawy in eastern Poland in 1796 by Princess Izabela Czartoryski and has since been moved to Kraków, via Russia and Paris due to conflict in war times. Its impressive collection of world-class art and artefacts includes items from Wawel Cathedral and the Royal Castle, a fine collection of European paintings and antiques as well as an armoury and impressive jewel collection. Princess Czartoryski had a rather odd fascination with the misery of human life and collected items like fragments from the graves of Romeo and Juliet along with ashes from El Cid and Ximena from the Cathedral of Burgos. Cost: Adult 9zł Concession/Child 5zł – Free Sunday’s. Housed in a 14th century renaissance building in Kazimierz is the Ethnographic Museum. Inside you will find the permantent exhibition showing reconstructed interiors of traditional Polish peasant workshops and cottages, nativity scenes, folk costumes, traditional paintings and woodcarvings and exhibit of crafts. Cost: Adult 13zł Concession/Child 7zł – Free Sunday’s. Hop-on Hop-off Bus – see it all on this open top bus tour. Folk Show in jama Michalika Cafe – experience a traditional Polish cultural show with dancing, singing and regional costume. Zakopane & Tatras Mountains – a day trip to the alpine region of Poland. 3 Hour Taste of Poland Food Tour – enjoy some of the best Polish food on this tour. Crazy Communism Tour by Trabant – visit Nowa Huta in a vintage Trabant and learn about how Polish people lived under Communism. Located just a minute walk from the Main Market Square, this hotel offers comfortable rooms with free Wi-Fi and a private bathroom. Rooms are spacious and come with a TV and a work desk. 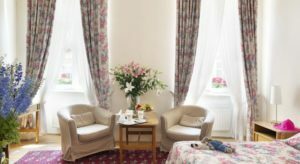 Located in the Old Town near the main square, this comfortable hotel features free Wi-Fi, private bathrooms, 24-hour front desk and access to a shared kitchen and dining room. Located a short walk to the Main Market Square. 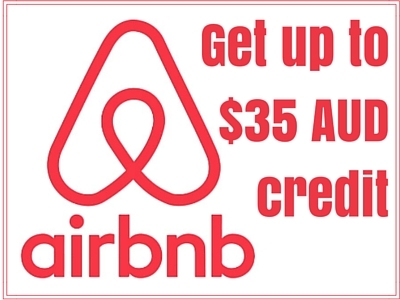 It offers spacious rooms and luxury suites with free Wi-Fi. All rooms come with a satellite TV and a minibar. Buffet breakfast is provided every morning. Which of these things to do in Kraków most interests you? Excellent, useful, advice. Krakow isn’t a place I’d thought of visiting, but it seems there’s just so much to do, I need to add it to my list! Thanks Sarah! Krakow is honestly one of the nicest cities I’ve visited in Europe and I highly recommend it. The Medieval Square must be fun to visit and the Salt Caves a little scary. Are there nice parks in Krakow? There is a really nice water front area with parklands and walking tracks along the river plus a large forested park that separates the old town from Wawel. If people are spending more than a day or two in Krakow, the infoKrakow office has amazing guidebooks (free) for the lesser Poland region, where visitors can find information about all the national parks around Krakow. Most of them are easy to get to by public transport, one is only an hour bike-ride out of the city and is a park with a unique church built on top of water, a castle, and several famous rock-formations characteristic of the Jurrasic Highlands. There is so much more to Krakow than just Auschwitz, Wieliecka, and the city center, that no one ever gets to see. For example the mounds that provide the best views of the city, the Polish countryside and bike trails 15 minutes outside the main square, and the special parks within the city that offer an old quarry filled with water, that is such a beautiful urban scene. Great tips! Thanks for sharing them Emily. Krakow looks amazing. 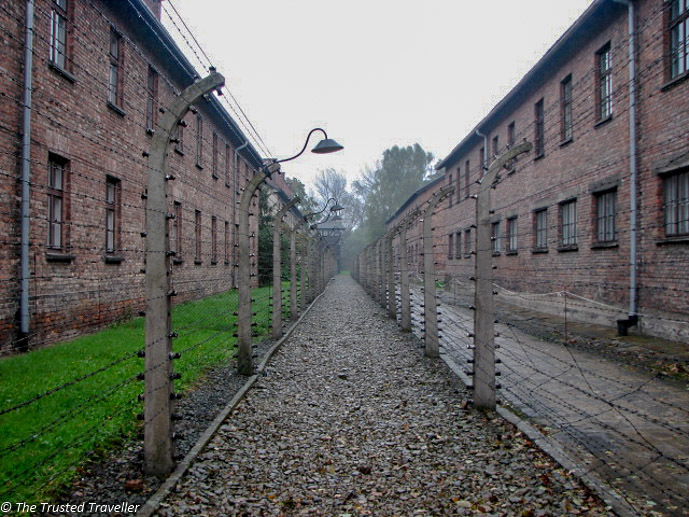 I would love to visit one day, especially Birkenau. I hope you do get to visit soon Tanmy. I loved my time in Krakow! There are a few things on your list I didn’t get to that I’ll have to remember for next time! It’s a good excuse to go back Sarah. 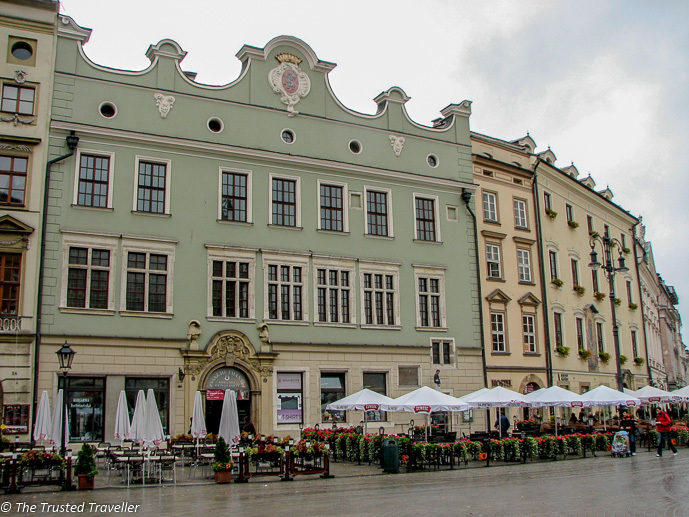 I adored my time in Krakow- I had three days and it wasn’t quite enough! Would love to go back and visit again- I didn’t have time to see the Salt Mines and I feel like I missed out! That’s great to hear Hannah. I hadn’t planned to visit the Salt Mines but everyone in our hostel was raving about how great they were so we thought why not! I studied in Krakow at the Jagiellonian University for a semester, it’s a beautiful city, and it changes with the seasons too. If you’re in the area again, definitely try to go to Zakopane too. Yes I’d love to visit Zakopane one day! Sounds like a great idea Els! I would if I wasn’t so far away…. I’d love to visit Krakow some day. There’s so much fascinating history. I bet Auschwitz would be really hard to visit, but I think you’re right that’s important to see first hand the horrible things that happened so we don’t forget. I hope you do get to visit soon Amy. Great post! Wawel Castle looks amazing and so does the town of Krakow. I’ll definitely add it to my places to visit. Thanks Carmen! There is lots to see in Wawel Castle that you could easily spend a day there if you wanted. My pleasure Heather! Hope you take advantage of those cheap flights soon! Poland has some really nice architecture and is definitely a must see for history buffs. I didn’t know you can visit Auschwitz for free, thanks for sharing. It is definitely on my bucket list. My pleasure Ben. I have to agree, the architecture is amazing! Great list! I think it’s very important to see such historical sites, even if they are reminders of such atrocities. We, as the human race, need to be reminded of those things so we don’t make the same mistakes. I have always been unsure about visiting Krakow because I didn’t know if there would be enough to do, This post definitely changed my mind! And the pictures are beautiful! Thanks so much Valerie. I am so glad I have changed your mind. I’d love to hear from you again when you do make it there. Thanks Samantha. Hope you enjoy! I hope you enjoy the city Bianca. You win some you loose some Franca. Sometimes revisiting a place can give you a different appreciation for it. 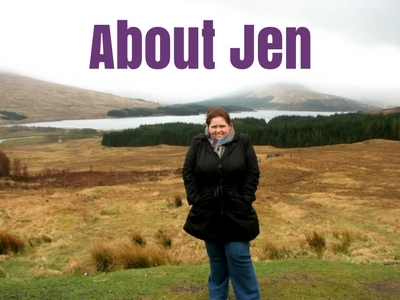 Very nice list, Jen! Although I already had all of these things on my list, I’m pinning this post to my Krakow board, so that others who are looking for inspiration on what to do in Krakow will see it! I like Poland – it may not be the first place that comes to mind for a trip to Europe. But if you love European history and archaeology, or enjoy visiting places of great spiritual and or cultural significance, there are good reasons why you should visit Poland. There are a lot of fascinating castles, I would recommend the last one I had a chance to visit – is Niemodlin Castle. They are all great reasons to visit Poland Anastazja and I’ll definitely keep that castle in mind next time I’m in the country. Thanks for stopping by! 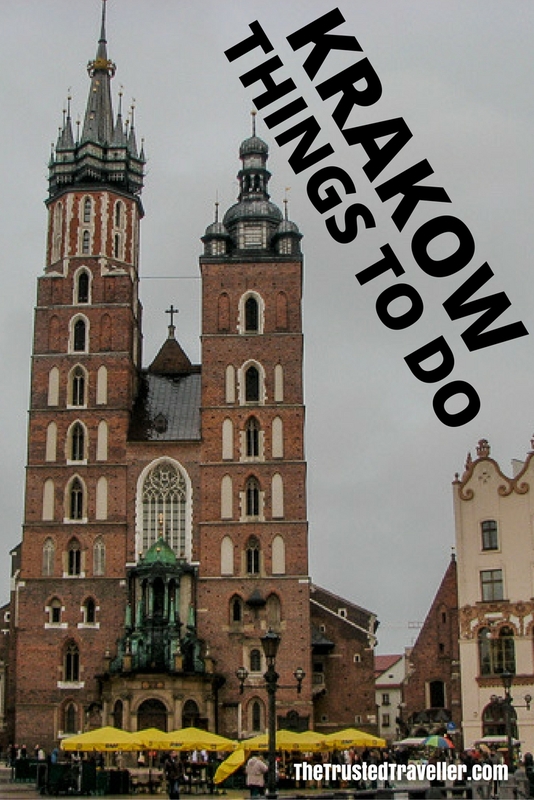 We leave for Krakow on Thursday, and I am definitely taking your recommendations along with me! Thanks for the great information! Glad to have helped Jenn. Hope you had a great time!!! Thanks for the recommendation Cass. I will definitely check it out one day when I visit Warsaw.I hope you enjoy Krakow as much as I did. Hi Jen this is amazing article because this is very much Helpful. I am planning to travel Krakow in 2 Months and i needed a complete list of good place to visit which i got it from here. That’s great to hear Vijay. Hope you enjoy Krakow as much as I did.